With the arrival of Passover, we will soon open our hearts and homes to family and friends to celebrate hope and renewal as a new season begins. Passover is a time to celebrate freedom, but for many families living outside of Canada, political and economic instability threaten their traditions. Alper, a father of two, came to JVS Toronto for support when it became too dangerous to live as a Jewish family in Turkey. Alper feared for his family’s safety, and wanted his children to grow up in a better place. With no personal or professional connections and leaving his own business behind, Alper was overwhelmed by the prospect of job searching, and the risks he was taking to immigrate to Canada. A referral to JVS Toronto’s EMETemployment program made the prospect of a better future for Alper and his family seem possible. Thanks to the generosity of donors like you, EMETemployment helps individuals like Alper, build self-sufficiency and provide a safe and secure life for their families. Your support helps JVS Toronto provide critical support and services to ensure Toronto’s Jewish Community can thrive. From the JVS Toronto family to yours, we wish you and your family a happy and healthy Passover. 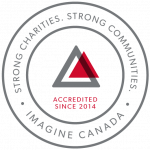 JVS Toronto is accredited under Imagine Canada’s national Standards Program. With this achievement, we join a growing community of organizations dedicated to operational excellence. The Standards Program Trademark is used under licence by JVS Toronto. Left: Michael Levitt - MP. Right: Prabhas Jha - Board of Directors at JVS Toronto, Michael Levitt - MP, Kim Coulter - CEO & President at JVS Toronto, Irene Vaksman - Director of Newcomer Services at JVS Toronto, and Sharvari Jois - Manager of Canada InfoNet at JVS Toronto. On January 16, 2019, we were delighted to welcome Michael Levitt, Member of Parliament for the riding of York Centre in Toronto, to our Toronto North location to announce the federal government’s continuing commitment to the delivery of pre-arrival services for internationally trained professionals. Over the past three years, thanks to funding from Immigration Refugees & Citizenship Canada (IRCC), JVS Toronto’s Canada Infonet (formerly called CanPrep) program has supported over 4,000 individuals prior to their arrival in Canada. Working closely with partners across Canada this program provides on-line employment and mentoring services, as well as access to post arrival support to ensure seamless economic integration for internationally trained professionals. Our Canada Infonet program works closely with partners including Toronto Region Immigrant Employment Network (TRIEC), OMETZ in Montreal, Ottawa Community Immigrant Services Organization (OCISO), Magnet, and the Ontario Tourism Employment Council (OTEC). We have also built a strong network of post-arrival partnerships across Canada with service providers and employers to ensure seamless, supported economic integration. 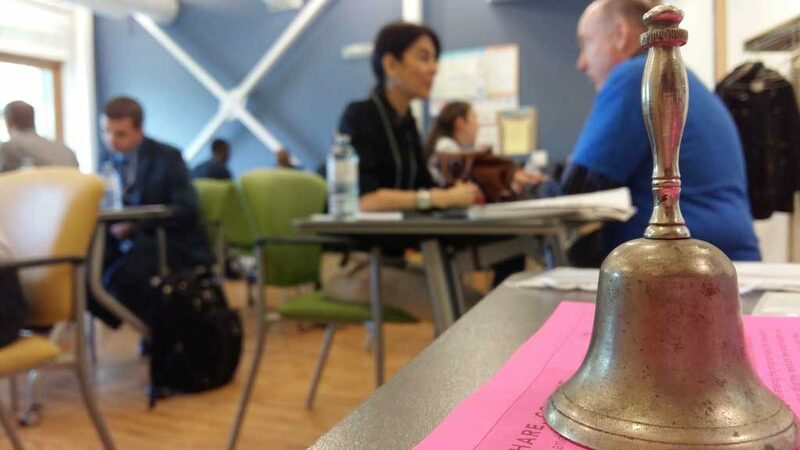 We are pleased to maintain our working relationship with IRCC and for their continuing commitment to pre-arrival services so newcomers gain knowledge about life in Canada and the job market, and for putting their trust in JVS Toronto as a service provider partner. We were honoured to have MP Michael Levitt make this announcement, for his leadership in York Centre and acknowledge his commitment to his constituents, many of whom we serve at our Toronto North location. Congratulations to our Canada Infonet program team – Irene Vaksman, Sharvari Jois, Farah Alizadehahi, Rahim Braksa, Anne Hu, Marlina Ramchandran, Lucy Sun and Iliana Tzekova – for their dedication to JVS Toronto and in welcoming immigrants to Canada every day. Recognizing client success, and the contributions of volunteers and employers, has been a staple each year at JVS Toronto’s Annual General Meeting (AGM). On October 3, 2018, JVS Toronto presented its AGM Awards to five very deserving recipients. Congratulations to our 2018 AGM Award winners. This award recognizes a young entrepreneur who has completed one of JVS Toronto’s youth entrepreneurship programs, and successfully operating a full-time or a part-time basis business. Bianca, a young entrepreneur and mother of two young children gained knowledge from JVS Toronto’s Summer Company program to start a business called Spike it Up offering alcohol-infused desserts. Challenged the rules and regulations to prepare her desserts in a commercial kitchen, Bianca rented time in a local commercial kitchen shuttling her equipment and ingredients to and from this kitchen every time she baked her stock. Undaunted, Bianca’s passion and hard work steadily grew Spike It Up. She recently opened her first retail location in Scarborough and arranged order delivery through UberEats and Skip the Dishes. Barrie Rose, who served as Chair of the Board from 1967 to 1969 and later as an Honorary Director, passed away on July 15, 2018. Over 50 years ago, thanks to a generous grant from Barrie, founded JVS Toronto’s Jewish Day School program in the Eitz Chaim Schools. 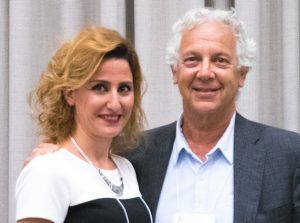 His transformational gift led to the integration of JVS Toronto’s psychoeducational consultants into the Jewish Day Schools, who work daily with teachers and parents to identify issues, assess, diagnose and establish educational plans so students of all abilities can continue their Jewish and academic education. Today, through our Career, Education and Psychology Division at JVS Toronto, Barrie’s legacy continues to ensure that individuals of all abilities and income levels can access assessments to improve their success at school and work. 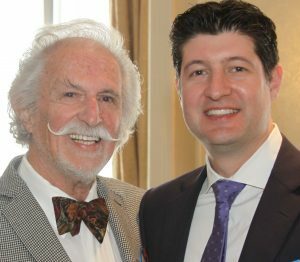 On behalf of the Board, staff and the entire JVS Toronto community, I express our appreciation to Barrie for his years of service to JVS Toronto, and acknowledge the important contributions he made to the Agency and throughout our community as a true philanthropic spirit. We extend our deepest sympathy to Barrie’s entire family. Ken Backus, MPP Mike Colle, Adrien Backus, David Green, Daphne Wagner, Councillor James Pasternak, Mary Plevak, and Kim Coulter. 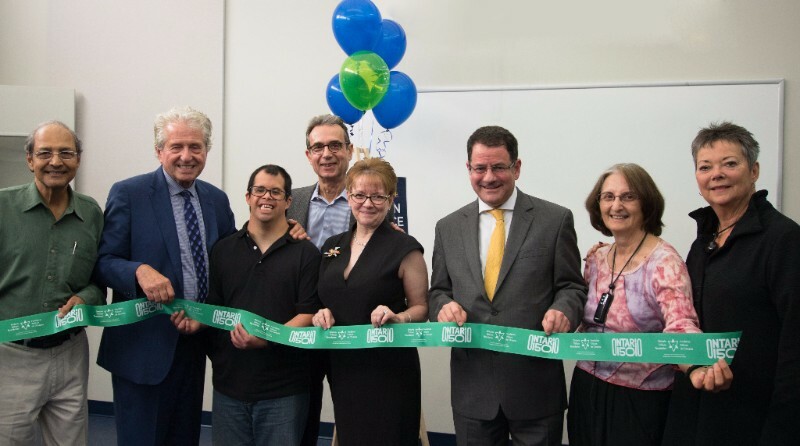 On October 18, 2017, JVS Toronto’s head office at 74 Tycos Drive showcased the newly renovated and relocated Al Green Resource Centre to dignitaries and longtime supporters of initiatives that connect individuals with disabilities with the greater community. “Our Al Green Resource Centre is a true testament to the commitment of many donors and funders in providing opportunities for inclusion so individuals with disabilities can lead purposeful and fulfilled lives,” said Kim Coulter, President & CEO of JVS Toronto in her opening remarks to over 90 guests and dignitaries who attended the grand opening. Opened in 2003 on Dufferin Street through the generosity of Al Green and his wife Malka Green, and David Green, his wife Daphne Wagner and their family, the Al Green Resource Centre has served as a lifeline and a critical source of meaningful activities for its participants with developmental disabilities to promote independence. Recognizing client success, and the contributions of volunteers and employers, has been a staple each year at JVS Toronto’s Annual General Meeting (AGM). On September 13, the JVS 2017 Toronto AGM Awards were presented to five very deserving recipients. Congratulations to our 2017 AGM Award winners. This award is given to a JVS Toronto newcomer client who has successfully integrated into Canadian society. Talar arrived to Canada with her family as a refugee after fleeing the horrors of Aleppo, Syria. An accountant in Syria, Talar thought her work experience would easily help her get a job. Not gaining any interviews, Talar’s optimism soon wore off. By accessing specialized newcomer employment programs at JVS Toronto, Talar improved her English, and learned Canadian and financial services terminology. After attending various workshops, Talar was able to optimize her job search to accounting firms. She secured a full-time financial services position and is now pursuing her professional designation in accounting. Manny Mitchell, long-time friend and great supporter of JVS Toronto, passed away on February 10, 2017. Those who met and knew him were always inspired by Manny’s generous nature and commitment to supporting organizations that impact the most vulnerable in our community. In 1996 Manny joined JVS Toronto’s Board of Directors and soon his contributions were helping to transform the agency. Knowing the importance of demonstrating community support through volunteerism and charitable donations, Manny was instrumental in establishing JVS Toronto’s volunteer-led fundraising program. In 2000, he helped launch JVS Toronto’s first direct mail campaign and set JVS Toronto on the course of a more formal and coordinated approach to philanthropy. By 2003, he actively developed and initiated as co-chair the agency’s signature fundraising event, Strictly Business; an annual awareness-building luncheon that continued for 12 years. L to R: Robin Chow, Kim Coulter, President & CEO, Jeff Goldfarb, Board of Directors Chair, Stuart Demeter. 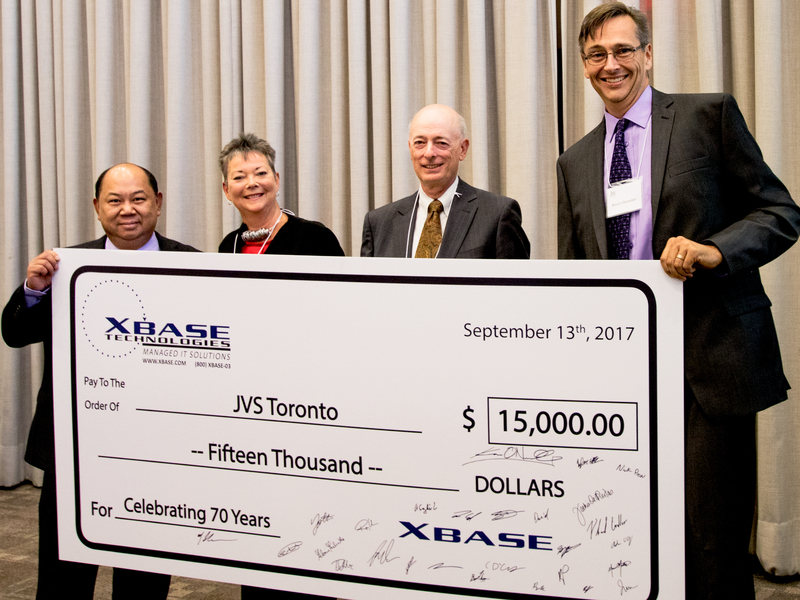 It was announced at JVS Toronto’s 70th Annual General Meeting on September 13, 2017, that XBASE Technologies Inc. is the official sponsor of the agency’s 70th anniversary events. JVS Toronto turned 70 on June 16, 2017 and will be highlighting this milestone throughout the year. XBASE's Robin Chow, Founder and President, and Stuart Demeter, Managing Partner were both in attendance for a formal cheque presentation. XBASE’s contributions to JVS Toronto, both as the agency’s IT managed services supplier and as a loyal and long-time supporter, have significantly impacted our delivery of services over the last number of years. We thank XBASE Technologies Inc. for their generosity and support. Sewing a button hole was a lifeline to renewal and optimism in Canada for Holocaust survivors after World War II, and the spark that ignited the creation of JVS Toronto. On June 16, 2017, JVS Toronto celebrated 70 years serving the Jewish and greater community. Our roots and history – told below by former Board of Director Chairs who helped shape it – weave together a story of giving hope and building self-sufficiency by helping people facing restrictive hurdles in life gain employment. In post-war Europe, Holocaust survivors living in Displaced Persons Camps (DP Camps) waited for admittance into any country that would take them. Max Enkin was one of the businessmen instrumental in The Tailor Project that identified those in DP Camps as tailors if they could sew a button hole. As a result, 2,000 Jewish garment industry workers came to Canada in 1947. This experience lead Max Enkin to establish Jewish Vocational Service of Metropolitan Toronto, now called JVS Toronto, to support Jewish immigrants, Holocaust survivors, and members of the Jewish community facing anti-Semitic hiring practices. "I met one of the tailors who came through that program. When he saw my father, he recognized him as selecting him from a DP Camp. My father said, ‘Most who came here weren’t tailors. Why are you still in the industry?’ He replied, ‘Mr. Enkin, I was a tailor.’"
On June 7, 2017, Susan Fremes, Immediate Past Chair of JVS Toronto’s Board of Directors received the UJA Shem Tov Award that recognizes the highest levels of excellence in volunteer services in Toronto’s Jewish community. A lawyer by profession with expertise in employment law, governance structures and designing and funding of pension and benefits arrangements, Susan has dedicated the last 10 years to JVS Toronto lending her skills and knowledge on a variety of Board committees, and as the Board Chair in 2014 – 2016. During her term as Board Chair, Susan led a Board matching fundraising campaign raising $100,000 over two months. As a JVS Toronto ambassador, Susan participated in UJA Federation’s Social Planning Forum and their prestigious Joshua Institute, a program focusing on Jewish leadership and governance. Susan’s activity in Toronto’s Jewish community also includes volunteer leadership roles at JIAS Toronto, Beth Tzedec Synagogue and Baycrest. JVS Toronto is proud to continue to have Susan’s support and passion to further JVS Toronto’s vision and mission and the values based on our Jewish heritage. At a reception on June 5, 2017, the Honourable Laura Albanese, Minister of Citizenship and Immigration presented the 2017 Ontario Volunteer Service Awards to five longstanding JVS Toronto Board and Board committee volunteers. Sandy Brown: 30 years of service. Past Board Chair 1986-1988. Career, Education, & Psychology Committee Current Member. Peter Shenfield: 20 years of service. Past Board Chair 1994-1996. Nominating Committee Past Member. Strategic Operational Review Past Member. Career, Education, & Psychology Committee Past Member. Jonathan Kopman: 10 years of service. Past Board member. Finance Committee Current Member. Fundraising Committee Current Member. Investment Committee Past Chair. Jacqueline Irvine: 5 years of service. Current Board Vice-Chair. Executive Committee Current Member. Governance Committees Current Member. Strategic Operational Review Past Member. Elaine Pantel: 5 years of service. Former Board Treasurer. Finance Committee Current Member. Executive Committee Past Member. This service award recognizes the important contributions that volunteers make in building a strong, inclusive and caring community. For 70 years, JVS Toronto has been shaped through the involvement of volunteers in Board governance, fundraising, connections to resources and spreading the word about the agency’s services and expertise. On May 24, 2017, Pam Eusbio-Romasanta, our Manager, Disability Services, was one of 12 award recipients at The Bhayana Family Foundation Awards ceremony that recognized employees working at United Way Toronto & York Region member agencies who showcase the remarkable dedication, creativity and team spirit that are essential to building stronger communities. Through a peer nomination process, Pam received The Bhayana Family Foundation Partnership Award at a ceremony held at Telus House in downtown Toronto. Jeannette Campbell, Director, Disability & Youth Services, and Greg Vailkioti, Employment Counsellor, Disability Services, also attended the event. Pam’s award reflects her contributions made to engage and maximize relationships with key partners such as bridging the Developing Work Connections and Youth Community Choices for Success programs with Routes, a Canadian Mental Health Association initiative; and establishing a partnership with The Bob Rumball Centre for the Deaf. With commitment, expertise, attention to detail and a positive attitude, Pam’s efforts have built capacity so JVS Toronto can better serve the needs of adults and youth living with developmental disabilities, dual diagnosis, and Autism Spectrum Disorder. On behalf of the agency and Board of Directors, congratulations Pam! TORONTO, May 23, 2017 – Scotiabank is giving a boost to new immigrants before they arrive in Canada through a three-year sponsorship to enhance CanPrep, a national pre-arrival program, funded by Immigration, Refugees and Citizenship Canada (IRCC), and delivered by JVS Toronto in partnership with TRIEC and other Canadian community organizations. CanPrep provides employment preparation and guidance to immigrants who have been granted visas but have not yet arrived in Canada. This responsive approach, supported by IRCC and now Scotiabank, provides immigrants with timely preparation for a successful integration into the Canadian labour market and society. Social isolation is difficult to face at any age. It’s particularly damaging for teenagers. Language, cultural and socio-economic barriers limit access to extracurricular activities, community affiliation, meeting new people and making friends. The teen years for some can be unbearable. “In children, it [loneliness] leads to all kinds of problems. Failure to be socially connected to peers is the real reason behind most school dropouts,” wrote Hara Estroff Marano in the Psychology Today article, The Dangers of Loneliness. Feeling connected is a lot like food. We need it to survive. Empowering isolated teens is a recent issue that the Miriam & Larry Robbins 1 Open Door is tackling through its unique partnership model of shared Jewish services. JVS Toronto leads this project with its partner agencies – JIAS Toronto, Circle of Care and Jewish Family & Child – to bring career expertise to help newcomer youth plan a future in Canada. The result is a program called Youth – Our Future Initiative (YOFI) that improves the social, educational and vocational needs of isolated teens living in York Region, the fastest growing Jewish community in the Greater Toronto Area. Privately funded, YOFI reaches out to Jewish youth ages 13 to 19 years and welcomes them in to make meaningful connections within the Jewish and greater community. Since many of the participants are recent immigrants and newcomers, YOFI provides exposure to Canadian life, social interactions with each other, intergenerational activities with Holocaust survivors, volunteering and assistance to determine future career options. Activities are multifaceted to build relationships and remove the effects of isolation for the young participants. Career exploration workshops give youth a unique opportunity to realize their strengths, values and interests in relation to potential careers. Mentoring events introduce participants to young professionals in the UJA Genesis initiative. Embracing the winter season is instilled through private ski lessons and outdoor activities. Seminars bring Holocaust survivors together with the teens to understand the challenges that come with age. Engaging discussions about Jewish identity take place from multigenerational perspectives. An abundance of social occasions bring young and old together for celebrations, food and fun events. With 87% of participants to date between the ages of 13 and 16 years, YOFI is playing an important part bridging the years between childhood and adulthood with positive role models, unique experiences, resources for education and career options, and instilling a connection to the Jewish community that will last a lifetime. And it all started with one open door. With summerlike weather, JVS Toronto held its 69th Annual General Meeting on September 21, 2016 at Beth Torah Congregation. We celebrated and reflected on a wonderful year, paid tribute to our outgoing Board Chair Susan Fremes, and welcomed Jeff Goldfarb, Incoming Chair, to his new position. “It has indeed been a very transformative, powerful and enriching experience to serve as JVS Toronto’s Board Chair. For me it is all about the work our agency does, our amazing staff, and my fellow Board and Committee members,” expressed Susan. Keynote speaker Brian Prousky, Executive Director, Jewish Family and Child, and Kim Coulter, President & CEO, talked about the critical impact poverty and unemployment has on the Jewish and greater community, and the united approach the Jewish social service sector has initiated to improve the lives of those affected. 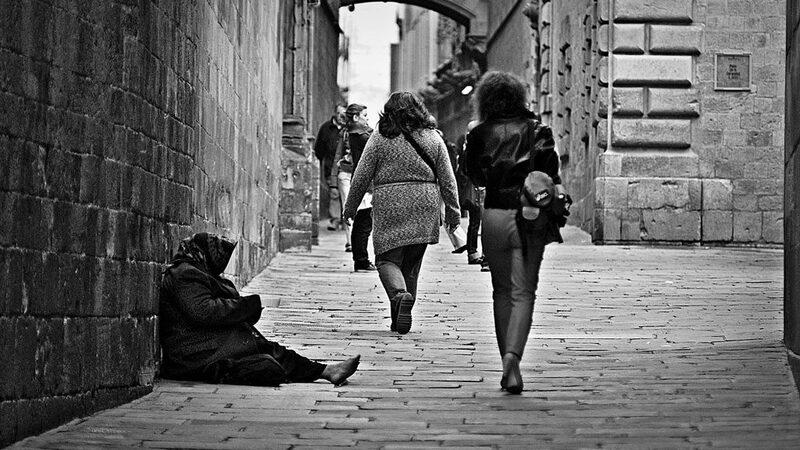 “What do we know of poverty today?,” asked Brian Prousky before sharing startling facts about poverty in the Jewish community published in UJA Federation’s 2015 study, The Face of Poverty, emphasising that being poor is not a choice but caused by unfortunate life events or circumstances. Brian explained how the social services community is working together to improve the lives of those affected by poverty through the UJA-led Collective Impact Steering Committee to End Jewish Poverty. When you’re unemployed, all you need to do is find a job. Right? During her speech, Kim Coulter said that like poverty, unemployment is not a choice but circumstantial. “Finding work today is a tough job,” Kim said, noting that permanent jobs with benefits are decreasing and contract, temporary or part-time jobs are increasing. Along with the difficult labour market, challenging personal circumstances like limited English language skills, employment gaps, a disability or a criminal record can greatly diminish someone’s chances of employment. “Our vision is that every individual has opportunities for employment,” Kim stated, explaining that JVS Toronto’s employment programs support those most at risk of falling into poverty – youth, single parents, single adults, recent immigrants, and people with disabilities. Showing JVS Toronto's 2015-16 annual report called The Power of Employment in Precarious Times; Kim encouraged attendees to read about the challenging circumstances that can lead to unemployment and poverty, and the community effort that takes place every day to help people become self-sufficient. 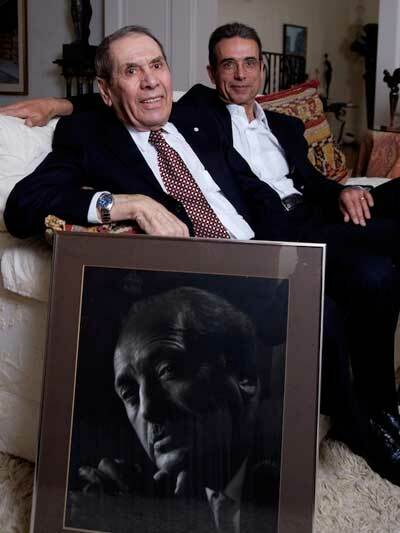 Al Green, a long-time friend and supporter of JVS Toronto, passed away on January 22, 2016. 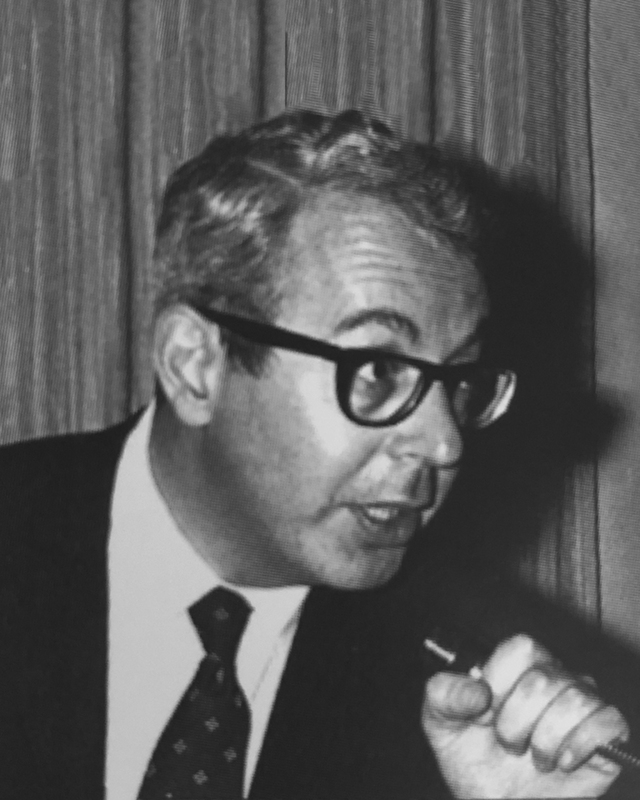 The Green family’s support of the agency spans three generations, beginning with patriarch Lipa Green who served on the Board of Directors in the 1950s. Lipa’s legacy is continued by Al and Malka Green, and David Green and Daphne Wagner, whose financial contribution led to the building of the Al Green Resource Centre in 2003. “I like to think that the actions of his descendants, and those others whom he influenced, are and will continue to be one of, if not his greatest, gifts,” expressed David Green who spoke on behalf of his family about his father’s legacy. The Board of Directors and staff of JVS Toronto are extremely grateful for the compassion and generosity of the Green family whose support continues to ensure that people with developmental disabilities lead richer and more fulfilling lives. Thank you to all those who attended! 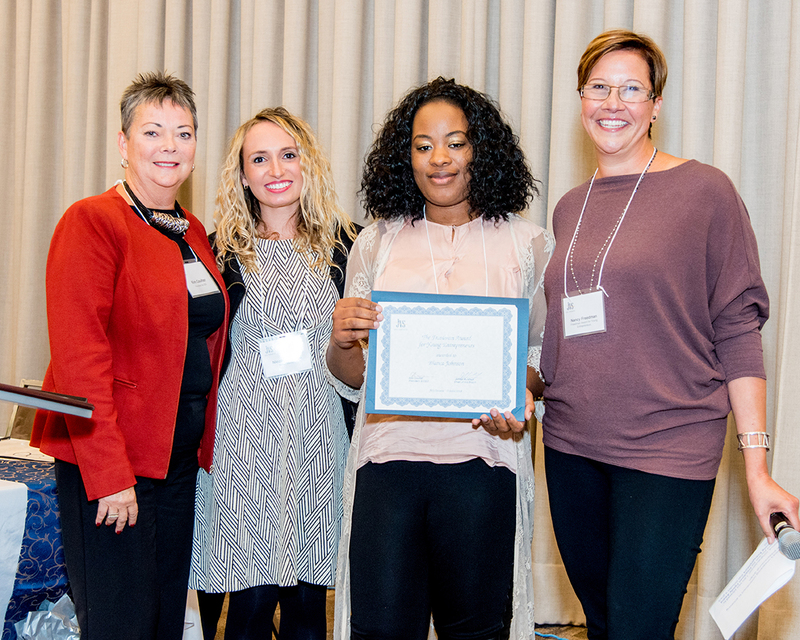 We hope you found that the evening challenged your perception of those who are unemployed or affected by poverty; and along with the achievements of our award winners, you left us with a deeper understanding of JVS Toronto’s role in giving the power of employment! Join us for next year’s AGM on September 13, 2017. Last week the Canadian Jewish News ran an article called Long-term solutions to poverty complex, agencies say. The article stated that $20,386 after taxes is the poverty line in the Greater Toronto Area (GTA). Thirteen percent of the GTA’s Jewish community is living around or below the poverty line — an increase of 5,000 people over a 10-year period. “Certain life circumstances, which can really happen to anyone… can take your life in a different direction,” states York University sociologist Randal Schnoor in the article. JVS Toronto (JVS) knows this statement to be true. As an agency dedicated to finding employment for all, JVS’ job seekers deal with challenging life circumstances that require extra support. We work with at-risk youth, individuals with disabilities, newcomers, Syrian refugees and anyone looking for work. Last year, for example, JVS provided employment support to a Jewish Family and Child (JF&CS) client who found herself living in a women’s shelter. While JVS’ expertise is helping people find work, essential partnerships with other agencies like JF&CS, allow us to reduce the impact of these challenging life circumstances. We are very pleased that our joint client relocated to British Columbia and is working at her dream job in a daycare centre. JVS is one of the Toronto-based agencies participating in UJA Federation of Greater Toronto’s Collective Impact Steering Committee to develop solutions to reduce poverty. We are proud to be a voice at this table to collectively give the power of stability to those in need in our community. You’ve been hired! Make the most of your new job. How do I deal with the lack of Canadian work experience during a job interview? Struggling to make a career decision? Try this helpful tool.